.... to all the women who're born as a female or the ones who identify as a girl. 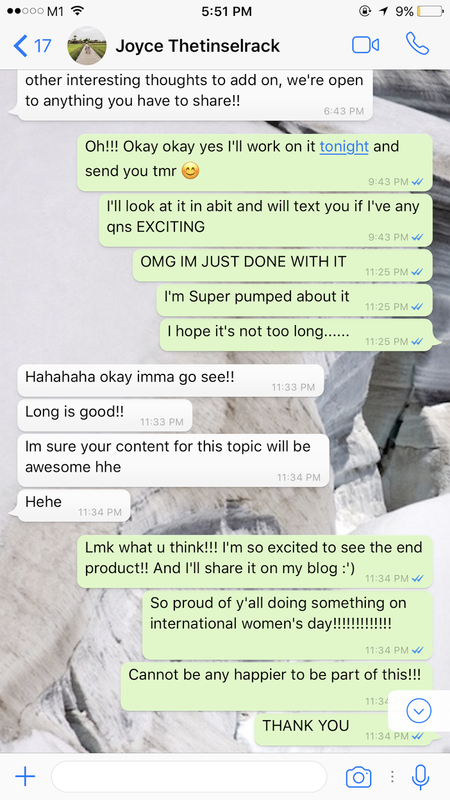 I've something very special and exciting to share with you guys. 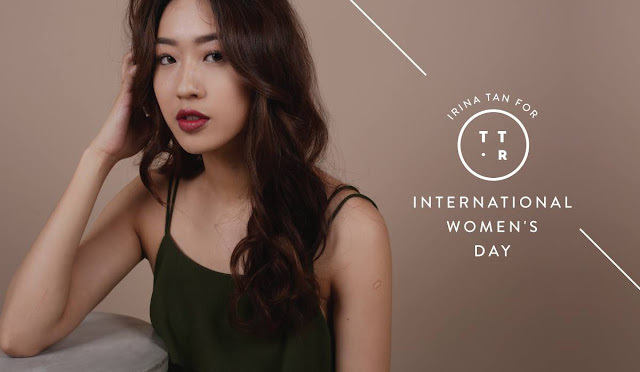 The Tinsel Rack, a local fashion label, whom I've worked with for a while now and have asked if I'd like to do a collaboration with them for IWD. Trust me, I was beyoooooooond happy!!!!!!!!! I've collaborated for interviews a couple of times but I'd say this is the most meaningful one I've done. I really poured my heart into it and I hope you guys would like it as much I do. Why do you love them and how do they inspire you? Ugh I have so many! The one that inspires me the most would probably be Angelina Jolie. She is one of my biggest role models. The world knows her for her acting ability, beauty and even her wild younger days. However, to me she’s more than that. She is a mother to a large, diverse family. She is a reputable humanitarian who has been to more than 40 countries for mission trips. And most importantly, she is a woman who defies social norms. Her actions in the political and charity scene inspire me to make a change and better the world in my own way, within my own capacity. Even though I enjoy being a woman (cause it’s the only thing I have known since birth), I do not see it as a superior OR inferior gender. There should be no distinction or discrimination. Any interesting quote you wanna share/thoughts about empowering women! There is post I saw on Instagram but it has been removed. 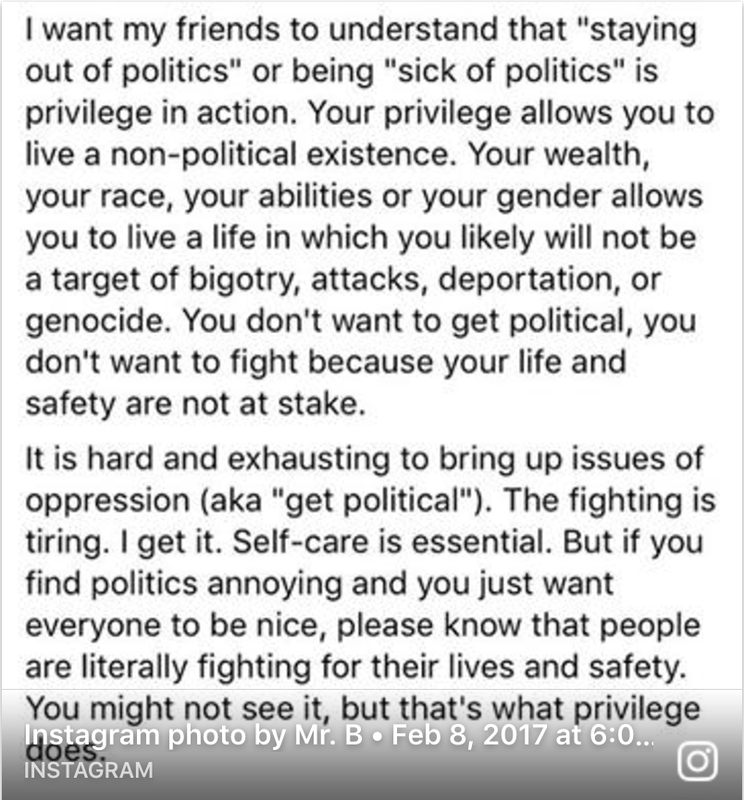 It goes, “I want my friends to to understand that “staying out of politics” or being “sick of politics” is privilege in action. 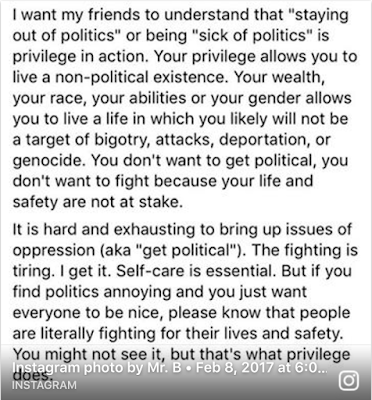 Your privilege allows you to live in a non-political existence. Your wealth, your race, your abilities or your gender allows you to live a life in which you likely will not be a target of bigotry, attacks, or deportation, or genocide. You don’t want to get political or you don’t want to fight because your life and safety aren’t at stake. As women living in Singapore, we are blessed with having a lot of opportunities. However, we have to constantly remind ourselves to always consider for others and remind grateful for the people who’ve fought hard before us (think Suffragettes - watch the movie if you haven’t)! Lastly, thank you Joyce (founder of TTR) for making this happen!